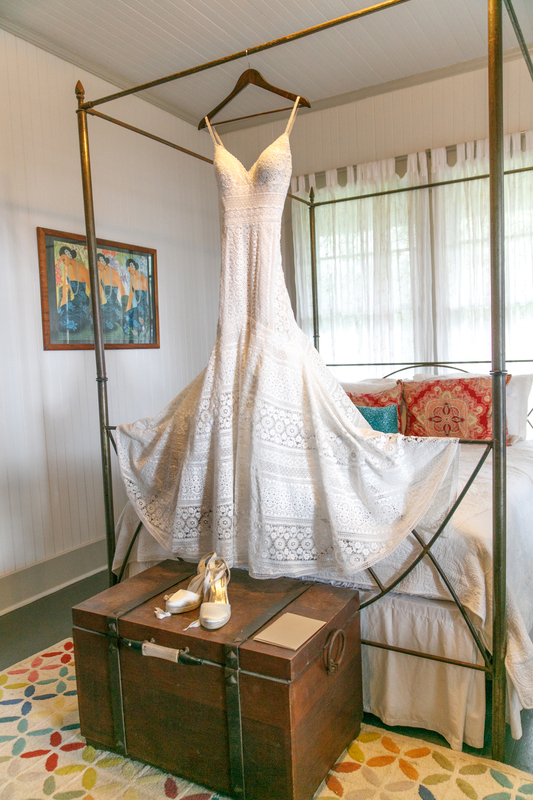 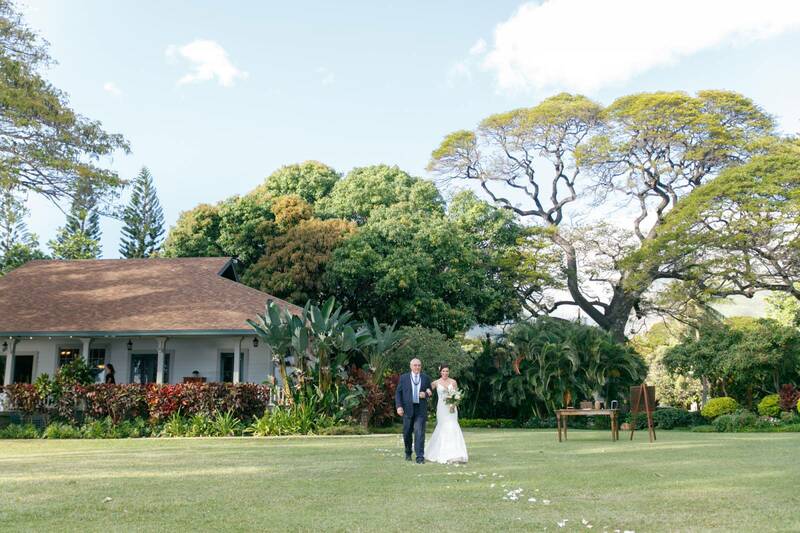 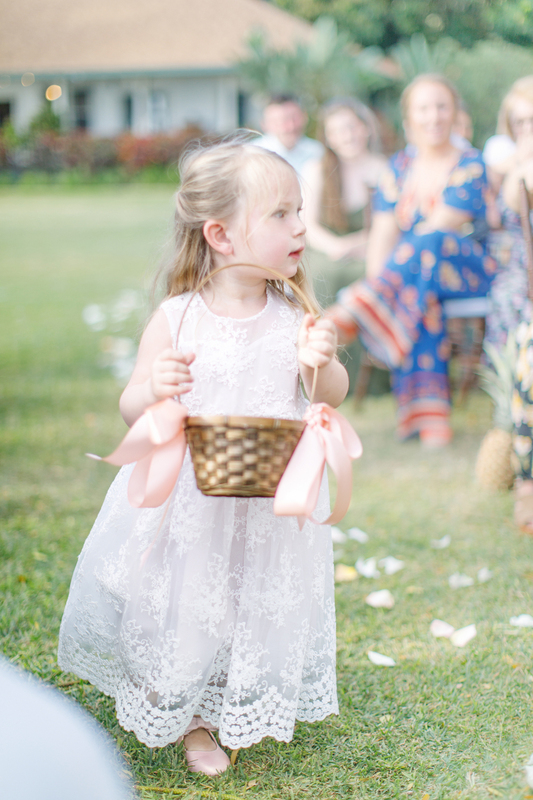 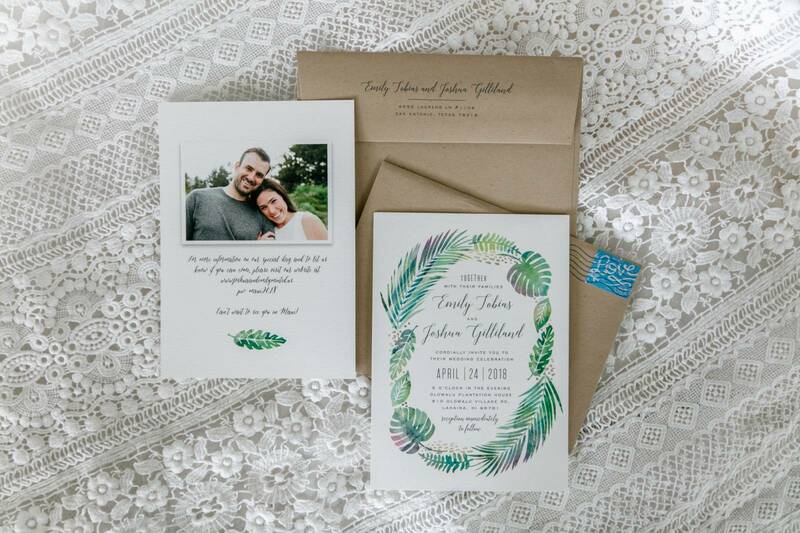 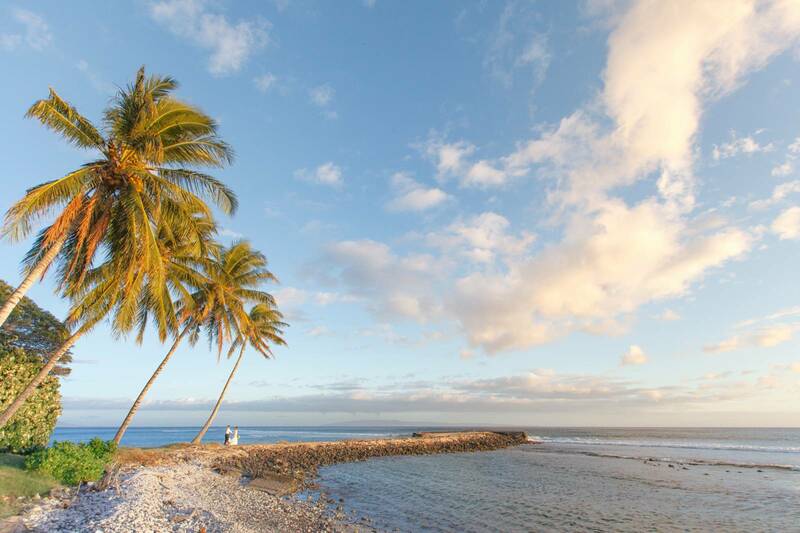 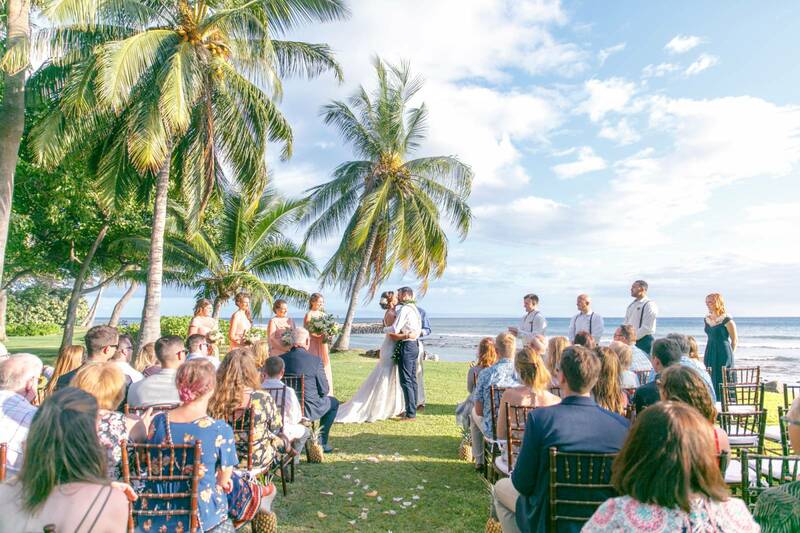 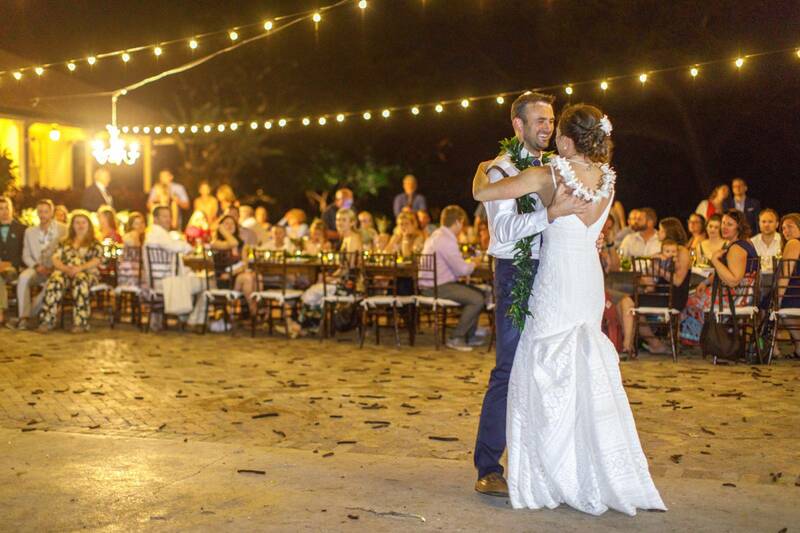 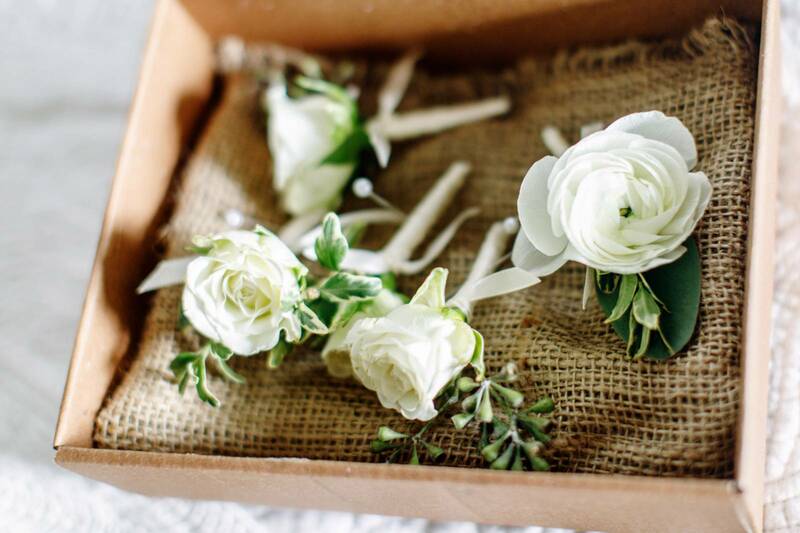 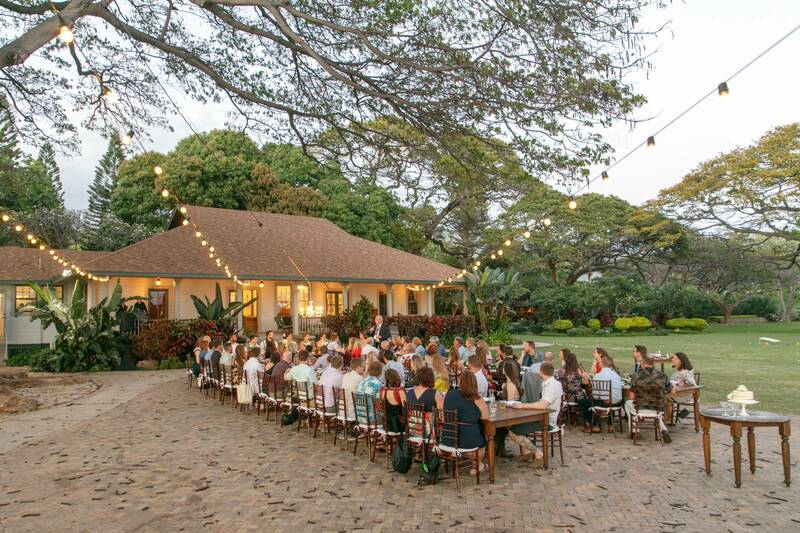 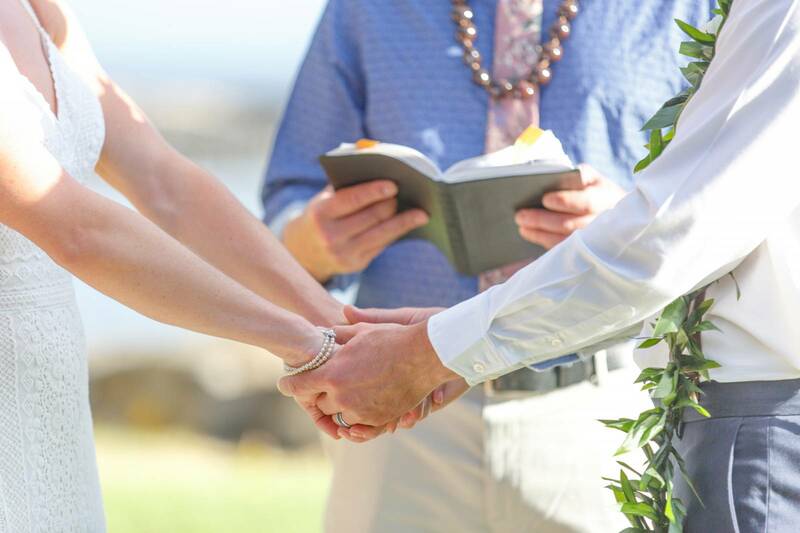 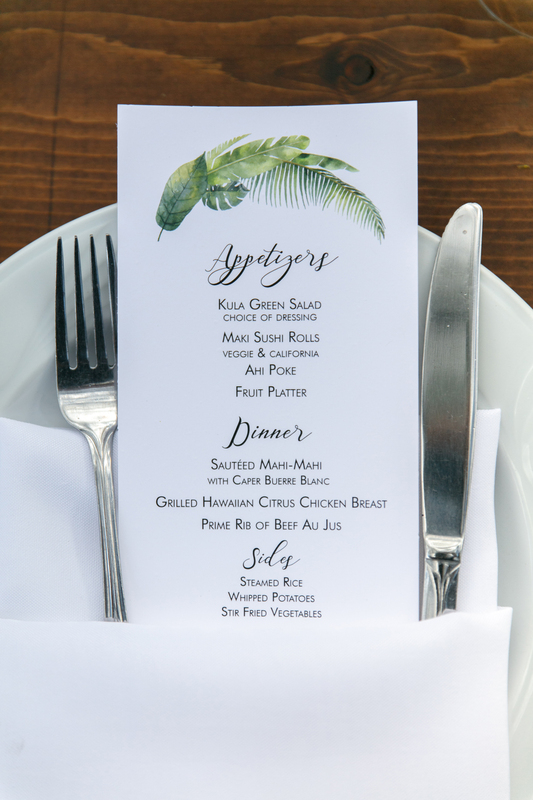 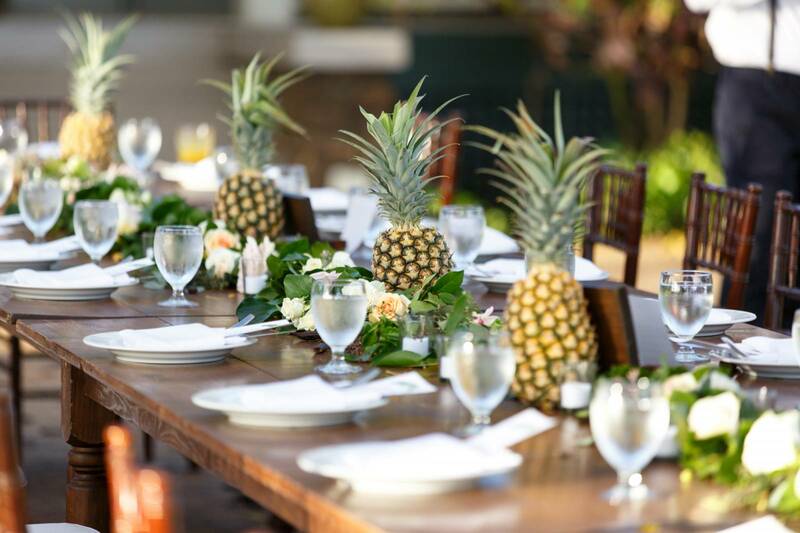 Emily and Josh had their dream wedding at the amazing Olowalu Plantation House on Maui. 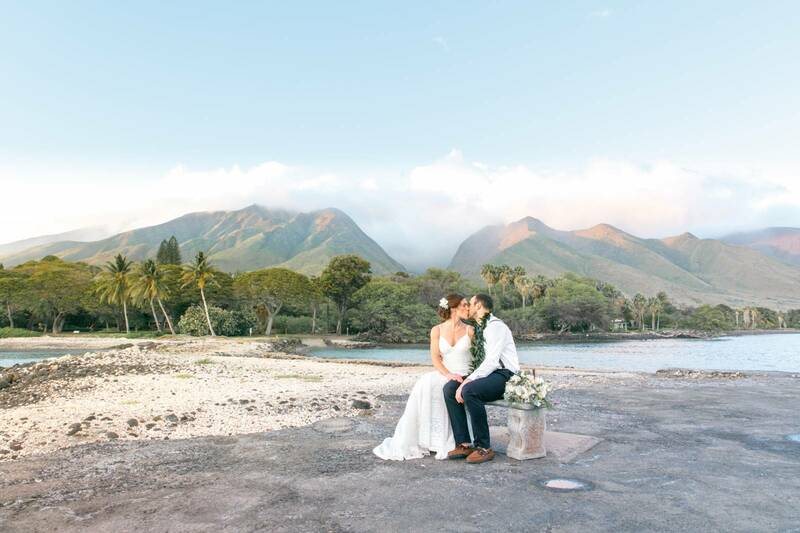 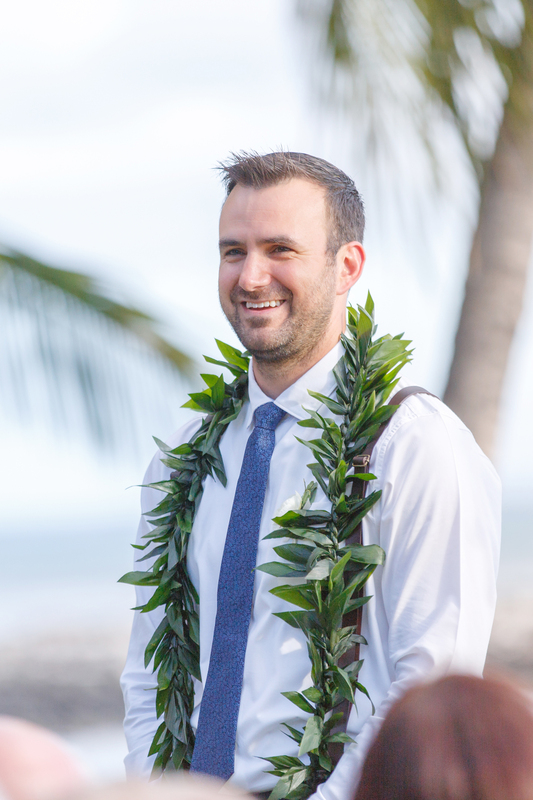 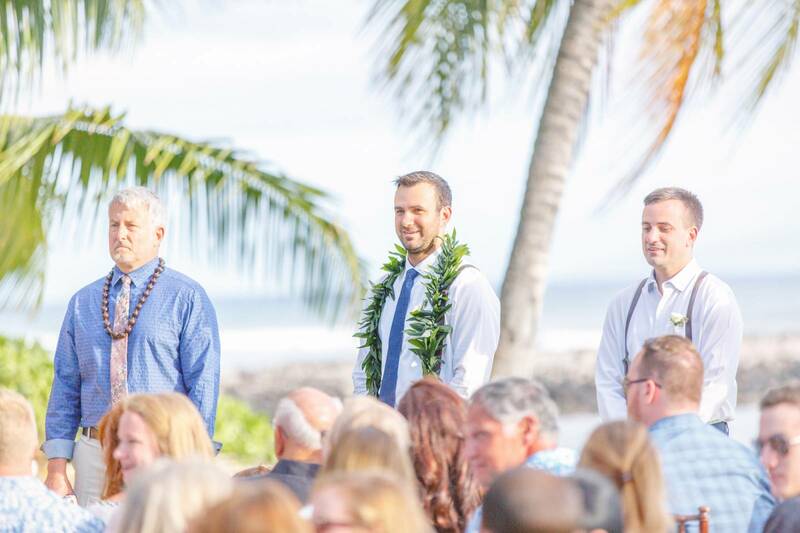 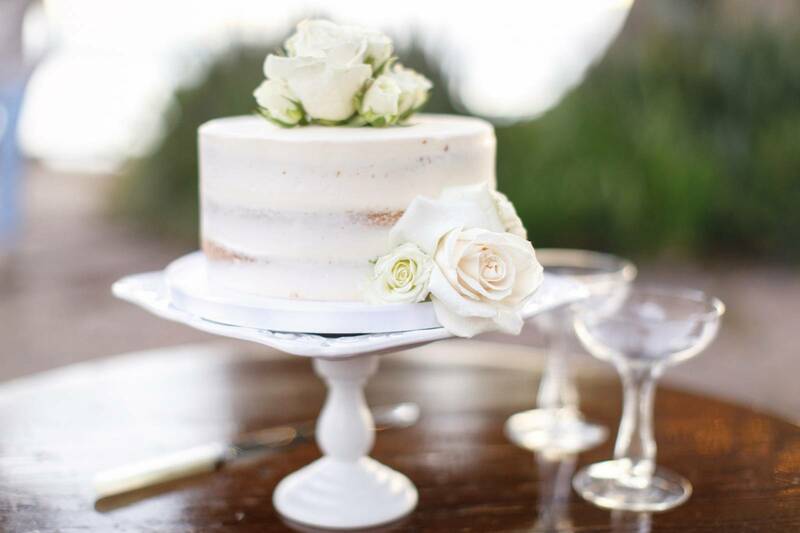 Their beautiful destination wedding on Maui could not have been more perfect. 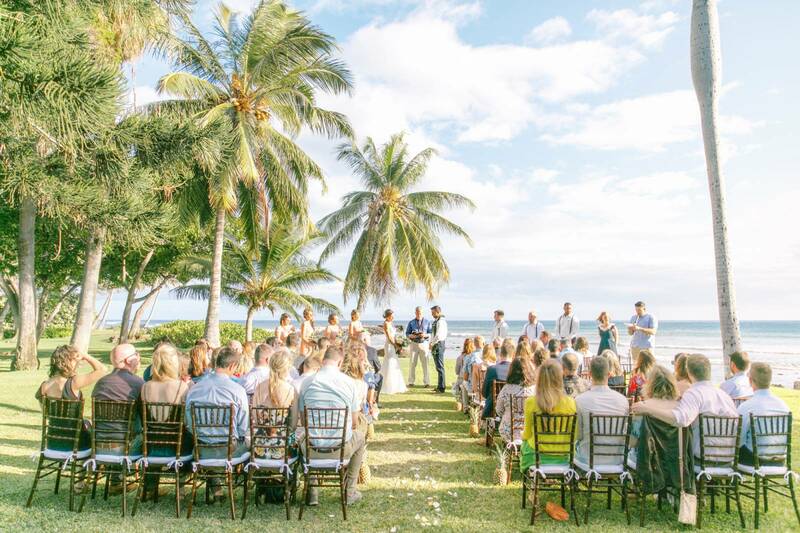 The outdoor ceremony took place on the lawn right next to the white sandy beach with brown Chiavari chairs on each side created a perfect aisle. 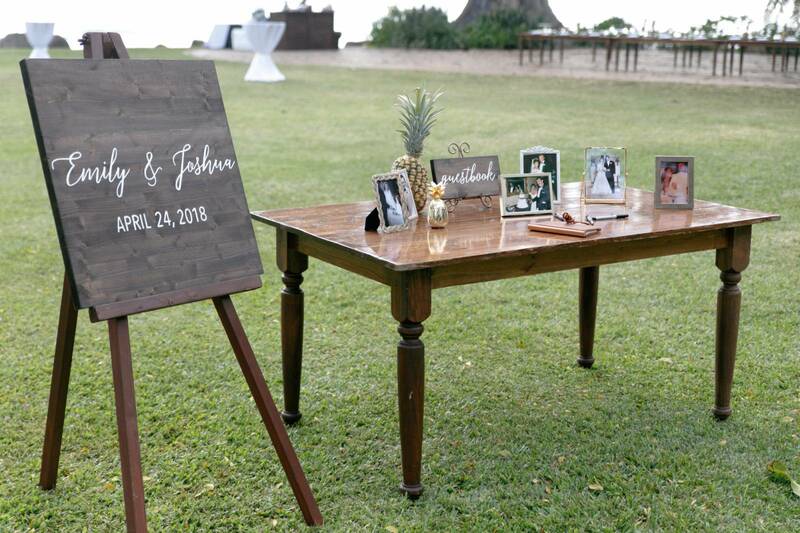 The entire event was focused on celebrating this beautiful young couple and celebrating the union of the families. 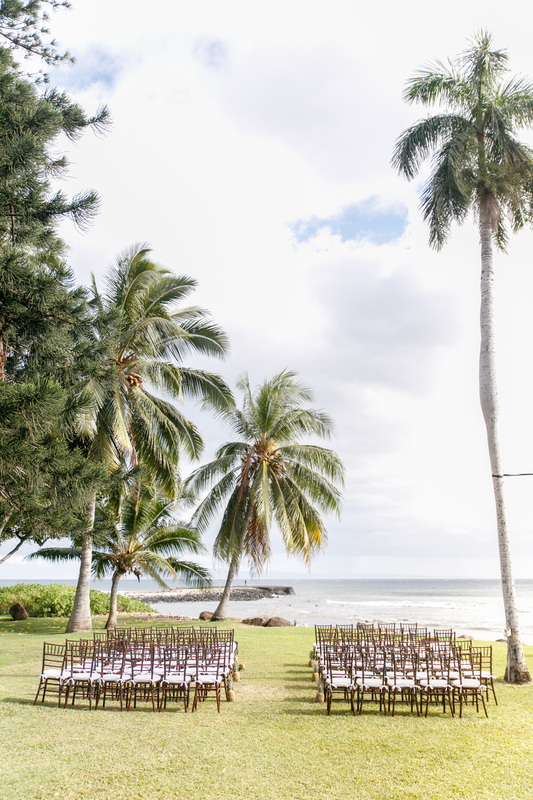 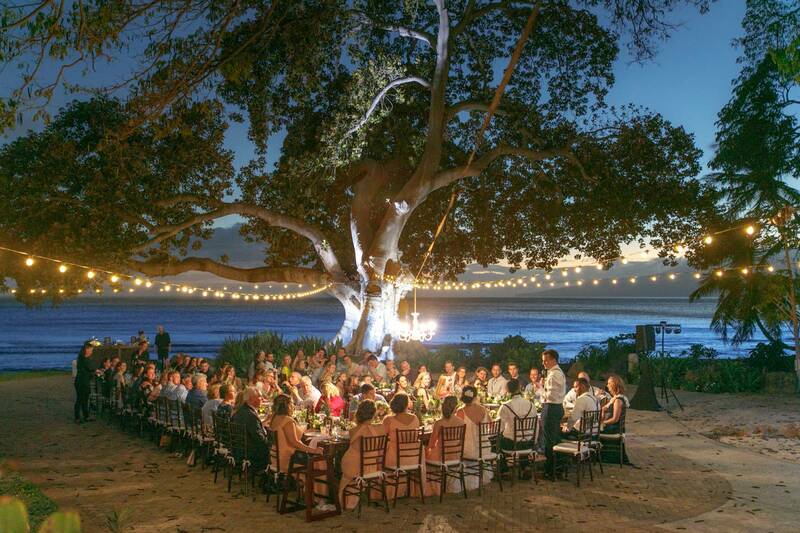 The oceanfront reception took place right after the ceremony under the majestic tree that supported romantic string lights and a beautiful chandelier. 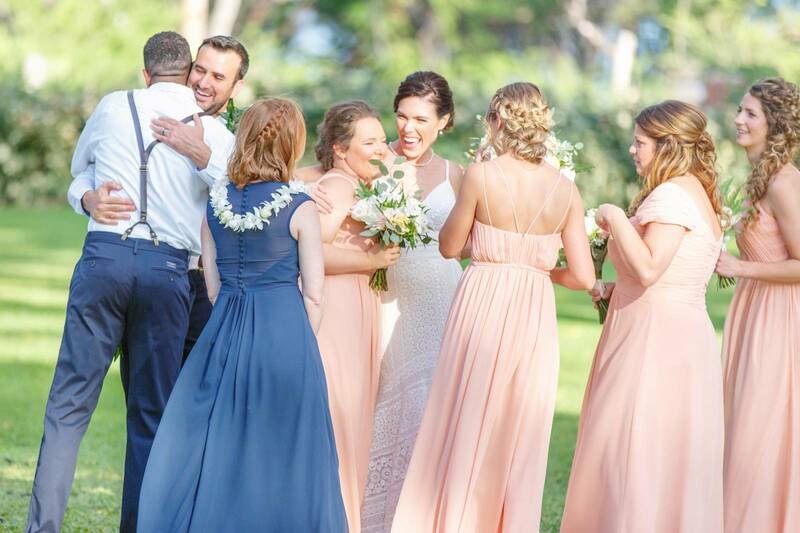 All the guests had a fun time and was definitely an event to remember!